Martin Riessen was born in Vadstena. He grew up in Matthew's Parish in Stockholm and started to take organ lessons for Bengt Berg when he was 13 years old. The young Martin Riessen was a curious person. He wanted to try everything. He studied theology and had thoughts of becoming a priest but the music was fun, so he eventually became organist, he was educated at the Royal College of Music in Stockholm. Since 1994, Martin Riessen well cantor every summer on Medevi Brunn. He says he's as good Lutheran has a foot in each regiment. He has over the years combined various services in both Swedish Church as the Armed Forces. For the Church, he worked at 16 years of service in the German St Gertrude's church in the Old Town of Stockholm. For the Military, he worked at the Life Guards Band, where he was music director. Prior to that, he served for 20 years as cantor at the castle Military Academy Karlberg. - During my studies, organist, I learned that one of Sweden's finest organs are in Östra Husby Church in Vikbolandet, and it has been a delight, he points out. David Saint was born in Jarrow in the northeast of England in 1954. He gained his Fellowship of the Royal College of Organists (FRCO) at the age of 20, winning the Turpin Prize for Performance. His career as a performer was launched when he won first prize in two international competitions: St Albans, England in 1969 and Kiel, Germany in 1972. After this, he toured as a solo recitalist. Roger Sayer is Organist and Director of Music at The Temple Church, London, having previously held the same position at Rochester Cathedral. In his early years Roger was an organ student at St Paul’s Cathedral. Albert Schweitzer was born on 14th Jan 1875 in Kaysersberg. He spent his childhood in the Alsatian village of Gunsbach, where his father, taught him how to play music. He received instruction in piano and counterpoint from professor Gustav Jacobsthal at the Kaiser Wilhelm University in Strasbourg, and associated closely with Ernest Munch organist of St William church, who was also a passionate admirer of J.S. Bach's music. Schweitzer served his one-year compulsory military service in 1894. Schweitzer rapidly gained prominence as a musical scholar and organist, dedicated also to the rescue, restoration and study of historic pipe organs. In 1899 he astonished Widor by explaining figures and motifs in Bach's Chorale Preludes as painter-like tonal and rhythmic imagery illustrating themes from the words of the hymns on which they were based. Prelude and Fugue in a minor, BWV 543Recorded at Saint Thomas Church Fifth Avenue, NYC. John Gavin Scott was born 18th Jun 1956 in Wakefield, Yorkshire. He was appointed as Assistant Organist at St Paul's Cathedral and Southwark Cathedra London. In 2004, John Scott moved to New York City to succeed Gerre Hancock as Organist and Director of Music at St Thomas Church, Fifth Avenue. Nariné Simonianwas born in Gyumri, in 1965, Narine started studying music at the age of six. In 1976, she was admitted to the Normal School of Music, where she graduated and was awarded the gold medal in 1980. From 1981 to 1985, Narine Simonian followed the Curriculum of the National School of Music of Yerevan, where she graduated as a professional concert pianist. , Huguette Dreyfus and Andre Isoir. She was awarded the First Prize for organ. Gordon Stewart was born 1952 in Dundee, Scotland. Studied at the Geneva Conservatory under Pierre Segond. Organist at Geneva Hall. 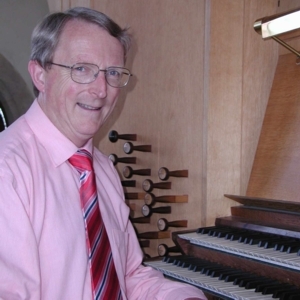 Gordon has been organist at Dundee Methodist Church; St. James’, Dundee; the American Church, Geneva, St. Mary-the-Virgin’s, Bowden; Manchester Cathedral, Blackburn Cathedral and Huddersfield Town Hall. He was Assistant organist and organist of Liverpool Cathedral. Rienzi Overture Budapest Palace of Arts, 2007. In Birmingham he plays regularly in the city's Symphony Hall and Town Hall, usually including contemporary compositions in his recitals. He is also noted for playing transcriptions of orchestral music, something which is a tradition at St Margaret's, Westminster, where he is organist. Arthur Emil Helmut Walcha was born 27th October 1907 in Leipzig. He lost his sight aged 19 after vaccination for smallpox. Despite his disability, he entered the Leipzig Conservatory and became an assistant to Günther Ramin. Helmut accepted a position in Frankfurt am Main at the Friedenskirche. From 1933 to 1938 he taught at the Hoch Conservatory. In 1938 he was appointed professor of organ at the Musikhochschule in Frankfurt and organist of the Dreikönigskirche in 1946. Enos James Watkins was born 1876 in Wolverhampton. Organist at Tettenhall Wood Congregational from 1893; Wolverhampton Presbyterian church from 1895; Poole Congregational church from 1898 ; and Richmond Hill Congregational church, Bournemouth from 1899. Conductor Bournemouth Congregational Choral Union from 1900. Died 1st February 1956 in Boscombe, Bournemouth. John Borland Weaver was born 27th April 1937 in Palmerton, Pennsylvania. M.S.M., S.M.D., Mus.D., L.H.D., D.F.A. 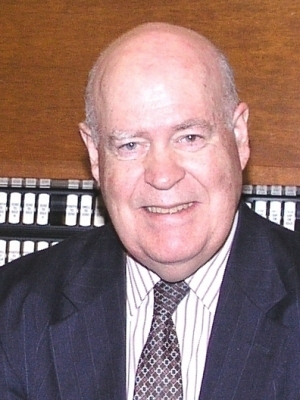 Dr. John Weaver served as Organist and Director of Music at the Madison Avenue Presbyterian Church. He also headed the Organ Department of the Curtis Institute of Music in Philadelphia and chaired the Juilliard School's Organ Department. Dame Gillian Constance Weir was born in New Zealand and brought up in Wanganui. , and in her second year (1964) won the prestigious St. Albans International Organ Competition. John Scott Whiteley was born 1950. Dr William Southcombe Lloyd Webber. Mus.D., F.R.C.O., F.R.C.M., F.L.C.M., C.B.E. Studied at Mercers School; the Royal College of Music, London. Organist of Christ Church, Newgate Street, London; St. Cyprian’s, Clarence Gate, London; All Saints’, Margaret Street, London; Westminster Central Hall, 1958-. Professor at the Royal College of Music, London; director of the London College of Music. Studied at the Royal Conservatory, Rome; the Academy of St. Cecilia, Rome; the Pontifical School of Music, Rome. He served as assistant organist of York Minster going on to become Professor of organ at the University of Hull. Carol Anne Williams was born in 1962, Great Britain. She began private lessons at age five and could read music before she could read English. Her formal training started with five years at the Royal Academy of Music where she specialized in organ performing as a student of David Sanger. Carol was awarded all the major prizes for organ performing and, during her studies, she became a Fellow of the Royal College of Organists and a Fellow of Trinity College London, as well as an Associate of the Royal College of Music. Carol Williams has been elected an Associate of the Royal Academy of Music (ARAM) in recognition of her contribution to music. A regular broadcaster in the UK and in America, she has been the guest performer with a number of leading orchestras including the BBC Concert Orchestra, San Diego Symphony Orchestra and the Beijing Symphony Orchestra. She performed the inaugural recitals on a newly installed Austin organ in Beijing's Forbidden City Concert Hall. Peter Michael Wright was born 6th March 1954 in in Hertfordshire. He was assistant organist of Guildford Cathedral, then organist of Southwark Cathedral, London.